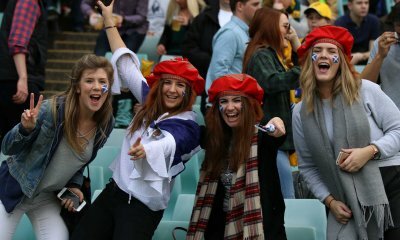 After an action packed Round 1, the 6 Nations teams were back at it last weekend with some more memorable moments. Before their bye this weekend, let’s check out what happened in Round 2. This was a game of physicality and handling errors that put the teams under serious pressure. Both Scotland and Ireland had a massive loss each in the first half with Stuart Hogg and Jonathan Sexton going off due to injury. This obviously changed the style and pace of the game. In the end, Ireland never looked like losing the game even with their terrible territory stats showing that they spent a quarter of a minute in Scotland’s 22 in the first half. Ultimately, Scotland were their own worst enemy giving away too many unforced errors and letting Ireland just take their foot off the pedal. Neither team really stood out as World Cup contenders so with just over eight months to go they really need to get their act together. This was a game dominated by the boot and the penalty count. I genuinely think Italy could have won this game if their discipline was better. Wales, despite winning, looked sluggish and disinterested for a lot of the game and if it wasn’t for the likes of Liam Williams and Dan Biggar, Wales could have been in big trouble. Italy looked to be catching up to the Welsh in the second half but once again unforced errors were Italy’s downfall really sealing the victory for Wales. Still though, Italy once again showed huge signs of improvement and I think will be a big challenge for Ireland. This game was hard to watch after just the 1st minute when Jonny May had scored his first try and he did from a chip through behind the defensive line. France never corrected this error and it cost them at least three more tries in a huge lap in judgement from France. The game was as much won by the skill and effort of Owen Farrell and his team as it was lost by France and their blatant disregard of their failing back three. Special mention to Yoann Huget, who looked lost in the fullback position. Credit does still have to go to England though as they preformed their game plan to near perfection and came away without any major injuries and maximum amount of points available. The style change that occurred when Joey Carbery replaced Jonny Sexton at the 25th minute. What I mean by this was that Sexton was playing very flat to the line taking some serious punishment but getting the ball distributed perfectly on the gain line. Where as when Joey came on he stood deeper in the line using the space in front of him to give him that extra time and vision to see what could be played around him. Owen Farrell’s kicking game has been on point but his general game management has gone up a notch since he has taken on the captaincy. This is being made even easier by the outstanding performance of Ben Youngs in his past two games. Youngs has been able to provide quick sharp ball either side of the ruck even when Farrell switch’s sides at the last second. This has given England’s backline the freedom to cause havoc against France and Ireland. I’m not sure what’s going on in the Welsh camp this season but in my mind they are a shadow of the team that was present in November. They seem as if they are off their usual pace by about 15 to 20 percent which they will to need find before the English game in two weeks or I can see England running away with the grand slam. The counter argument to this is that Coach Warren Gatland is slowly building his players up to peak when it come to the world cup. The standard of refereeing in this round has been appalling from TMO’s not knowing their role’s to referee’s missing calls that your average 3rd grade refs would pick up. This issue must be resolved soon or it will effect the quality of rugby being played. Now I’m not saying fire everyone and anyone but I am saying that everything needs to be more consistent especially in a World Cup year. If this isn’t sorted soon more players will lose their cool like Greg Laidlaw and have a pop at them in the post-match interview. At the moment watching the past two French games its seems as if there is massive communication issues between the players and the coaching staff. There seems to be no game plan or preparation done by the French for either match and from what the players have been saying, when they look to the coaches box for help there is only radio silence on the other end. Recovery time will be vital this weekend with no Six Nations games. 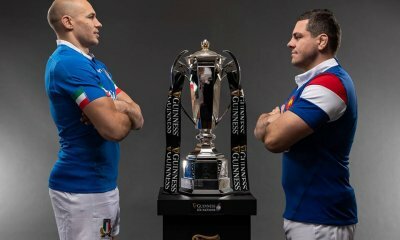 The Top14, Pro14 and the Premiership will be playing however most internationals will be rested except for the French. This is a great time to work on whatever issues that have been popping up in the first two games. Sadly for the French they won’t have this time to do so and I feel that could be the killer blow to both France in the Six Nations and Jacques Brunel as the French coach. Nice write up Mark. I think your point about Wales timing their run for the RWC is pretty much in the ball. No one will care about the 6N if their team wins in Japan and I wonder how much Ireland and Wales are focussing on that tournament rather than this one. England’s timing, compared to Wales and Ireland, is rather interesting. Because you might be right about Wales and Ireland focusing more on September (not that Ireland have started a 6N’s campaign strongly in the last few years). 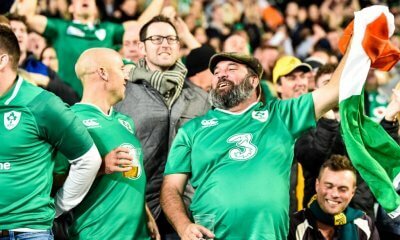 They had the luxury of being able to do that, because they had strong finishes to last season, Ireland beating the ABs, and Wales beating the Wallabies (and SA, I thought?). Whereas England need to rediscover the confidence they had before the last 6N’s. 2018 wasn’t a strong year for them, so they need to do well in the 6N’s to have confidence heading into the RWC. The psychology of it all is fascinating. Dead right KRL. England have lost Itoje and Vunipola which is not good in the short term but at least they will not be worn out by the end of the season and the flogging they get by playing so many games. I read somewhere the reason the French back three looked awful was cos when their first choice guys got crocked the coach is banned from picking a new player into the squad by the T14 and has to make do with what he has – hence a load of centers trying to play wing. That said, they’ll probably drop two pool games and still make the final this year. One thing I have noticed is that the preparation by England has been top notch so far. The execution of the plan they have has been super effective. Credit to the coaching team and players for putting it into practice methinks. Forward specialist backs enthusiast and all round lover of the game.